Backstory: One of the biggest hip hop moguls today, he's the original Cash Money Billionaire. His New Orleans upbringing equipped him with a slang that helped him create his own lane. When he's not rapping solo or as one half of the Big Tymers with Mannie Fresh, he's running Cash Money Records which is home to Nicki Minaj, Drizzy Drake, and his "son" Lil Wayne. These days he's known for demanding his Respeck at morning radio shows such as Power 105's The Breakfast Club. Some know him by his government name Brian Williams, others by his pigeon feeding pseudonym, Birdman aka Baby. His jewelry is the reason Blind Kanye went blind. 🤩DON’T JUST WEAR THE CELEBRITY, BECOME THE CELEBRITY - Going to a concert, festival or Halloween party? 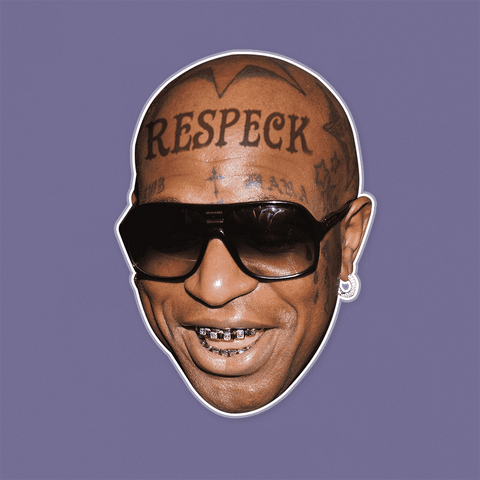 Make to sure to demand some RESPECK as the Cash Money Billionaire hisself. Are we finished or are we done?